There are many ways you can help students achieve their educational goals and support programs at the District's three colleges: Cañada College, College of San Mateo, and Skyline College. Generous donors who contribute $1,000 or more to the Foundation's annual fund over the course of one fiscal year (July 1-June 30) become members of the Chancellor's Circle. To join the Chancellor's Circle or renew your membership, visit the Foundation's donation page. For more information about joining the Chancellor's Circle, click here or contact Tykia Warden, Executive Director at 650.358.6860 or wardent@smccd.edu. Gifts of cash made through the SMCCC Foundation are tax-deductible and are used for the purposes specified by the donor. To make a donation visit the Foundation's donation page or contact any Foundation staff member. As employees of the District we see our students struggle with the costs of tuition, textbooks, living expenses, childcare, and more in order to accomplish their academic goals. Financial support through payroll donations from faculty and staff members across the District is vital in helping our students succeed. Your legacy gift may enable you to make a more significant gift than you thought possible while at the same time allowing you to achieve your financial, philanthropic, and real estate planning goals. Enlist your friends to help raise funds for the Foundation! Visit everydayhero, enter the "San Mateo County Community Colleges Foundation" in the search bar, and start a fundraising campaign. Or, you can contact our office for help setting up a campaign. For more information contact any Foundation staff member. Many donors multiply their support by making use of their employer’s matching gift programs. To find out if your company participates in such a program, ask your HR department. For more information contact any Foundation staff member. If you’re an entrepreneur with a special connection to the District you can pay it forward with the District Innovators' Pledge. For many people, the prospect of attending college depends on the availability of financial assistance. There are many opportunities for corporations and foundations to partner with the SMCCC Foundation. Connect with Tykia Warden about strategic partnerships. A simple, flexible and tax-efficient way to make charitable donations. A donor-advised fund, or DAF, is a charitable giving vehicle sponsored by a public charity that allows you to make a contribution to that charity and be eligible for an immediate tax deduction, and then recommend grants over time to any IRS-qualified public charity. When you donate to your DAF, you're making a tax-deductible donation to the organization sponsoring the fund. But because your account is a donor-advised fund, you advise the organization on how to grant the money out to your favorite charities. Your donation is also invested based on your preferences, so it has the potential to grow, tax-free, while you're deciding which charities to support. For more information, contact your financial advisor. Gifts of marketable stocks or mutual fund shares that have increased in value can have an immediate impact and also create an immediate income tax deduction for you based on the asset's current value. Connect with Tykia Warden for more information. 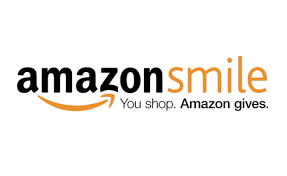 When you shop online at Amazon Smile, 0.05% of all your purchases will go to support the San Mateo County Community Colleges Foundation. Do your shopping from the comfort of home and support student success at the same time!